Fair scheduling is a method of assigning resources to applications such that all apps get, on average, an equal share of resources over time. Using fair scheduler we can separate pools(queues) for each team and configure the resources for the pool which will help in overcoming application delays. In the exam you may be asked to create a pool with min and max resources so that jobs submitted in the pool won’t be delayed. Before we begin, ensure that the Fair Scheduler is chosen as the Yarn’s default scheduler. Select configuration and you’ll be redirected to Dynamic Resource Pool Configuration. Here provide resource limits such as the weight for this pool, min/max cores and memory for this pool and other details. Set scheduling policy, preemption etc., if specified. Once the pool is configured, you can submit the jobs to this pool using the below parameter in the syntax. · Create a resource pool with given min and max resources. 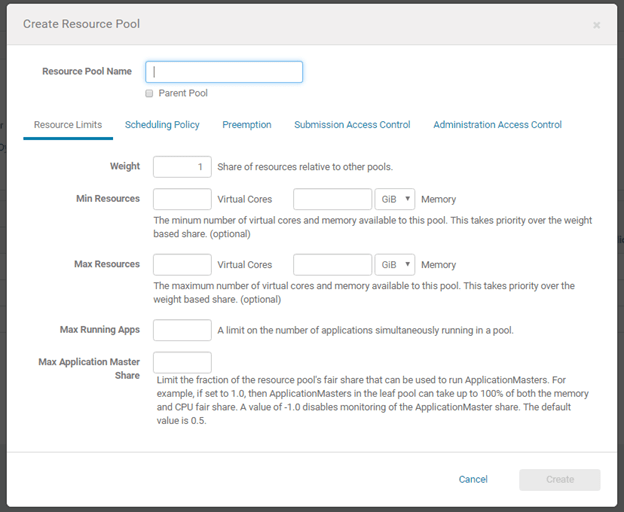 · Create a pool with given resources and set scheduling policy as DRF. Thus we covered how to use fair scheduler to create resource pools to resolve application delays. Please follow my blog to get notified of more certification related posts, exam tips, etc. Great work Kanna, I’m waiting for the topic “Revise YARN resource assignment based on user feedback” in manage section. 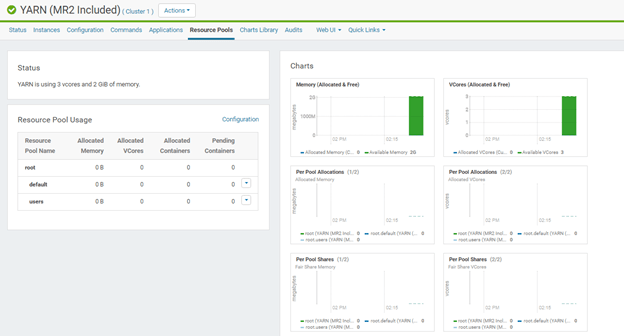 Great work- the whole blog is extremely useful for aspiring cloudera admins! Would you know of any example scenario to test your configuration? For instance can you submit a couple of the example map reduce jobs and then see the result of your configuration in action? It would be good for the overall understanding if somewhere a scenario exists where you can submit and then follow the jobs that are running. didn’t you post the topic “Revise YARN resource assignment based on user feedback” ? I have found it. didn’t you post the topic “Revise YARN resource assignment based on user feedback” ? I have never found it.